What a show for the re-launched Sciblogs podcast! I talk to Apple co-founder Steve Wozniak, the creator of the Apple I and the engineering genius to Steve Jobs’ design brilliance. We catch up with futurist Mark Stevenson who was in Wellington recently as a “brain for hire”. And I ask Sciblogger, Professor Shaun Hendy, what made the late Sir Paul Callaghan such a visionary science leader. It’s a slightly longer bumper issue thanks to my exclusive interview with Steve Wozniak. Typically the podcast will clock in at under 30 minutes. Steve Wozniak is coming to New Zealand next month for Woz Live his one-man seminar on the Apple story. 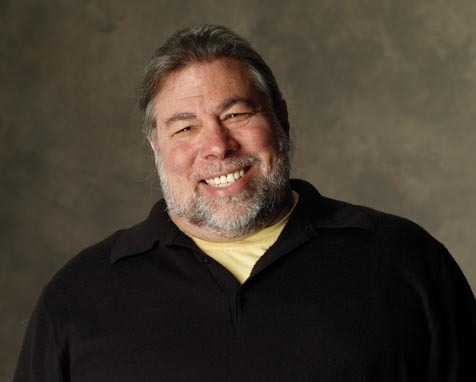 Also check out Woz’s personal website for a update on what he is up to. My Listener piece on Steve Wozniak is out today (in the magzine) – read my other technology stories and columns here. Mark Stevenson toured the world to research his book An Optimist’s Tour of the Future. The League of Pragmatic Optimists is setting up a New Zealand chapter. Keep an eye on the website for details. Sir Paul’s presentation on improving New Zealand’s performance based on science and innovation. Science Media Centre expert commentary and a summary of media coverage of the Lancet series on adolescent health. A news report on the Nature ice melt research. Expert commentary from the Science Media Centre on the DNA wear and tear research. A Science Media Centre UK expert round-up on the research.